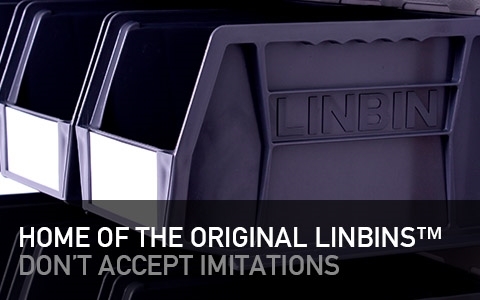 Original Linbins™ is the home for pick bins. Don't accept imitations. Order Linbins and you get the best picking bins in the market. They come in a large range of sizes, a robust structure and longevity. Linbins are manufactured at our Leicester site where quality and customer satisfaction are paramount. With over 20 years’ experience providing storage solutions we are sure that our service levels and support will match the quality of our products. As part of the larger Apex Linvar Group of companies we have the backing of one of the largest storage equipment manufacturers in the UK and their experience of over 75 years of trading history. The Linbin pick bin range is primarily designed to allow you to make the best use of limited space in your business, warehouse, factory, shop floor or even garage and shed. They are used in every industry and each product range focuses on a specific storage solution. Whether it is our standard coloured stackable Linbin containers for efficient storage and speedy stock picking, or our economical recycled black Linbin, you can guarantee the superior quality and service associated with the Linbin name. 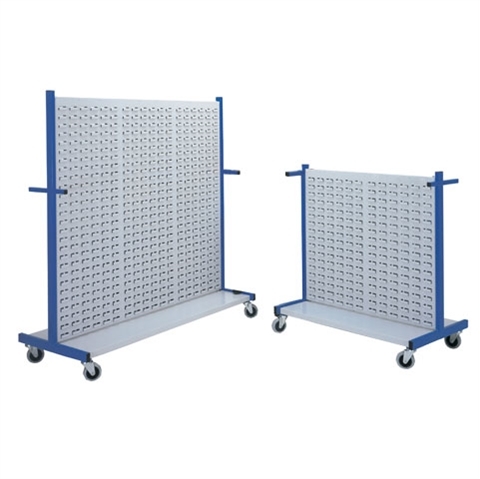 We offer a large range of accessories and kits including dividers and louvre panels. Linbins are made with high strength polypropylene co-polymer and include reinforced ribs to enable stacking without distorting the shape of the container. Linbins are considered to be the strongest storage bins on the market, they hold components securely and are incredibly easy to pick from. Linbins are not only the most robust storage containers on the market they are the hardest-wearing. They are widely available in an array of different colours and sizes and by purchasing through Linbins.com you are dealing directly with the manufacturer and the expertise we can provide. Linbins.com prides itself in providing only top quality products at very competitive prices – however if you are buying for a larger project or if you are a major user of storage equipment why not talk to us about quantity discounts. We can offer trade accounts and discount structures for customers who are reselling our range of products. Please contact us for details. We can offer next day delivery on our stocked Linbin range, this includes the standard bin packs, louvre panels and some of the smaller kits. Lead-times are stated on the product page and in the basket. For more information on delivery please click here. If you wish to get in contact with us you can fill out our contact us form here or call one of our sales team, Freephone on 0870 121 1406.